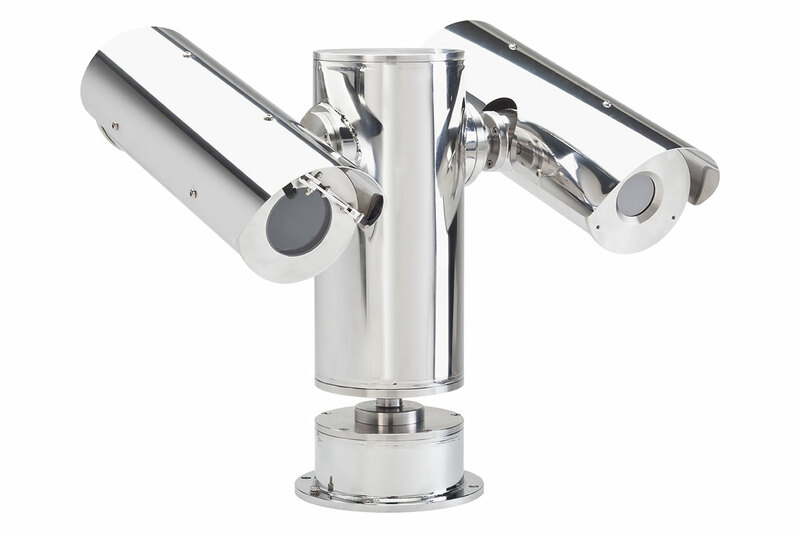 Tecnovideo's PTZ250 is a new series of PTZ Camera Stations designed for hostile and corrosive environments. The new PTZ250 units are entirely made in electro-polished AISI316 Stainless Steel to grant durability and endurance in the most severe conditions, such as Industrial, Marine and Offshore installations. Tecnovideo's PTZ camera stations offer fully protected internal cabling, fixed cable entry through the base mount junction box, variable speed motors, sunshield, heater/demister, wiper, built-in telemetry receiver (Pelco protocol compatible), IP66/IP67 protection. - PTZ250D with Day/Night and IR cameras. The PTZ250 Series can be provided with default Tecnovideo's cameras or completely pre-built and pre-wired using Customer's cameras. Customisation is available upon request. For more information, please contact us.